The fascinating story of the establishment of the town of Katoomba in the Blue Mountains of NSW, including the history of the Scenic Railway. 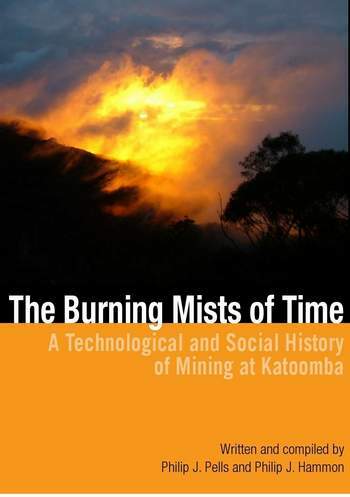 This book traces the people who lived here in the late 1800's, the pioneering developers who were drawn by the world's richest oil shale deposits and associated coal seams, and the roles of those people and their works in the rise of Katoomba to touristic fame. To provide background to the central story, and to help in understanding the motivations and limitations of our central characters, it also describes the society in which this all happened, the aboriginal influences, and the bureaucratic and financial systems within which the developments had to take place. The technical descriptions of the amazing infrastructure needed to recover the rich oil shale from the vastness of the Jamison and Megalong Valleys, are written to be understood by the non-technical person; Cecil will be your friend for life. The research needed to bring this book to publication has been undertaken over many years, both by professional researchers, and amateur dirt scratches. The latter ask the questions; "why is this here?" and the former try to help answer them. Envisioning the 19th century engineering solutions from the scant remains of abandoned worn cables, and eroded earthworks, takes a wealth of experience, in wire rope workings, steam haulage, mining practices, underground and surface surveying, and even pony management. Phillip and Philip have put all this together in a very readable and well illustrated book, with many previously unpublished historic photos, with sketches and diagrams to clearly explain what was, a quite complex operation. For the serious researcher, the book has a comprehensive index, and is filled with references to the sources of the information that has been gathered.